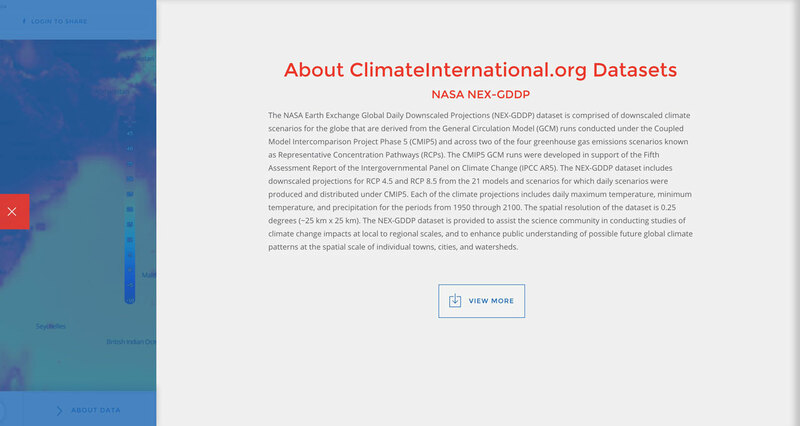 In partnership with NASA and the White House’s International Public-Private Partnership, Climate International was produced. 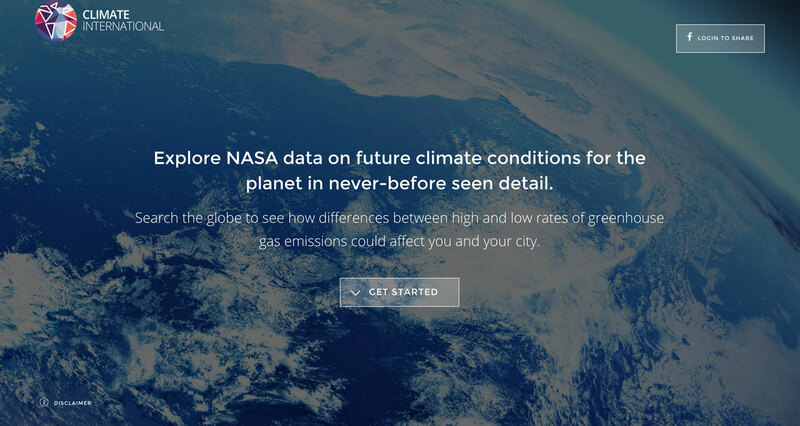 It features visualizations of 25km downscaled climate data projections from 1950 to 2100 for the entire planet. 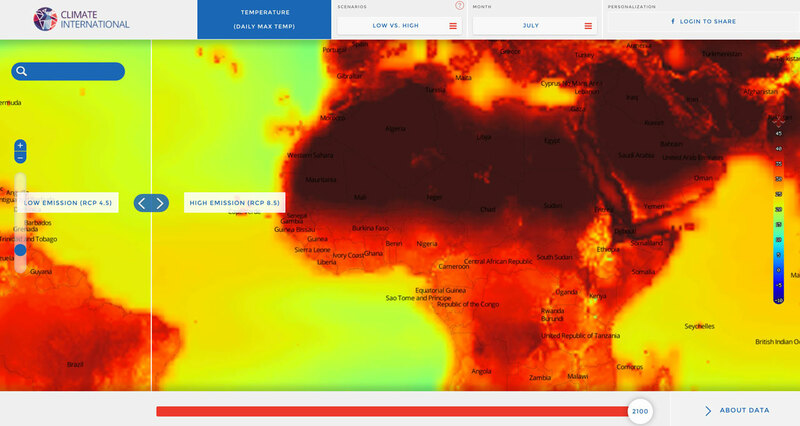 This map interface provides a visual reference for climate projection data at the international scale utilizing NASA’s downscaled climate data. 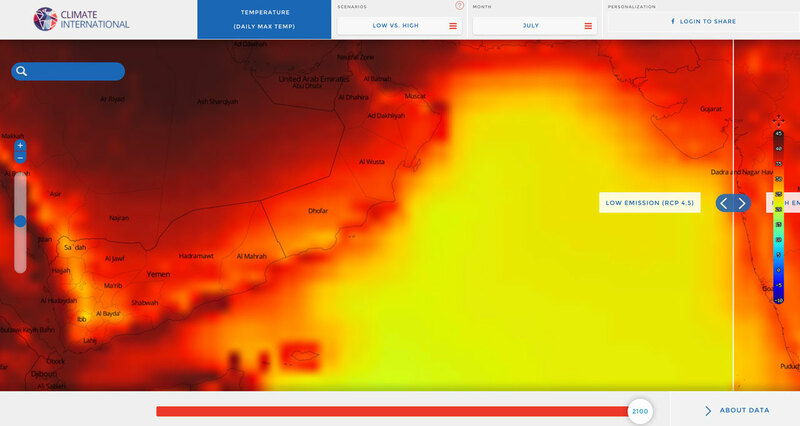 The objective of this project was to attempt to visualize one of the world’s largest climate projection data sets in terms of scope and size . The outcome of this project was a successful and intuitive user interface and mapping application that is capable of visualizing a global downscaled data set.